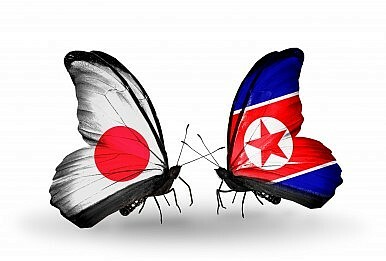 Japan and North Korea make positive noises, while keeping expectations to a minimum. As both my colleague Zachary and I have noted, official talks are underway in Stockholm between Japan and North Korea, with the first day of the three-day meeting concluding Monday. Each country has sent a delegation of eight, who made a brief media appearance before discussions got underway. The Japanese side is led by Junichi Ihara, director general of the Asian and Oceanian Affairs Bureau within the Foreign Ministry, while the North Korean lead delegate is Song Il Ho, ambassador for talks to normalize relations with Japan. Kyodo News has reported that the key issue for the Japanese will be convince North Korea to reopen an investigation into the abduction of Japanese nationals in the 1970s and 1980s. Citing unnamed sources, the report said the Japanese would be willing to lift certain economic sanctions if serious movement was made on the abduction issue. Japan wants to iron out details on how and when North Korea will undertake the investigation. While the issue of North Korean nuclear tests and ballistic missile launches was brought up in March, Japan is unlikely to do so this time, according to analysts spoken to by the AFP. It is not an issue over which Japan has a great deal of influence, and it might be unnecessary right now, as China last week warned North Korea through diplomatic channels against conducting a fourth nuclear test, according to Chinese diplomatic sources speaking to Reuters. There have been no official statements from either delegation concerning issues beyond economic sanctions or the abductees. As I have noted elsewhere, substantial movement on even these narrow issues is unlikely, yet they are probably the only areas where even incremental progress can be expected. As the negotiations unfold today and tomorrow, it will be interesting to see if, and how far, the scope of these talks widens. That may be a key factor in gauging how successful this current round becomes.